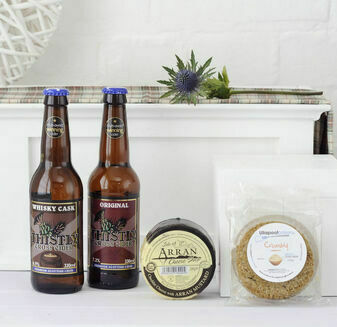 We Scottish are unabashedly proud of our long, evident history as one of the best producers of beer in the entire world. 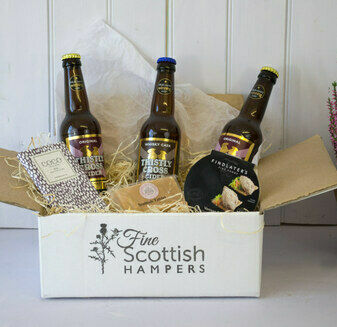 Even today, our breweries continue to break new boundaries in terms of ingredients and fermentation methods, and it’s with these Scottish Beer Hampers that we pay tribute to Scotland’s mastery of the drink as well as the many accompanying flavours one can enjoy with it. 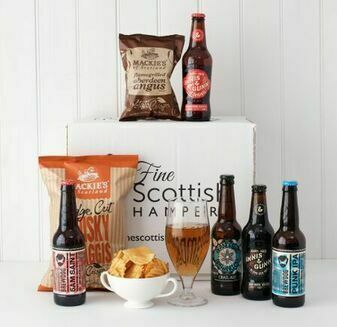 From beer-making rebels like Brewdog to the classy award winning tastes of Cairngorm brewery, any one of these Scottish Beer Hampers would be a perfect gift for one who takes the time to not only enjoy the taste of a good Scottish beer, but the smell and colour of it too. 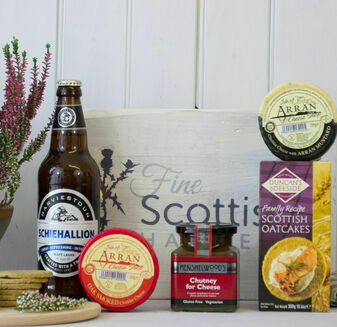 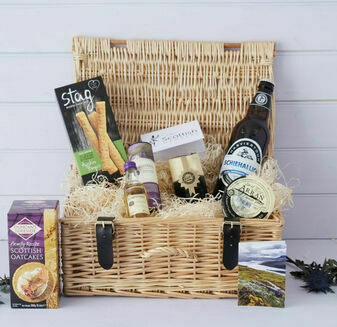 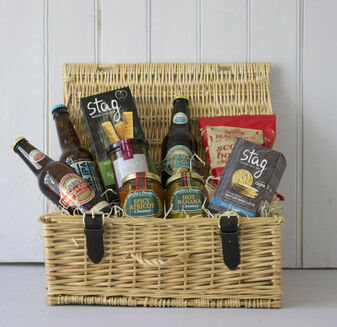 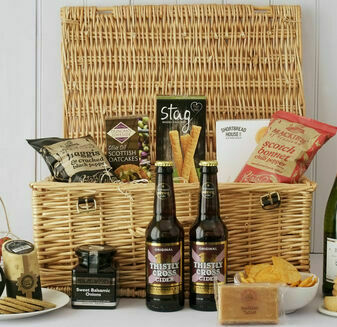 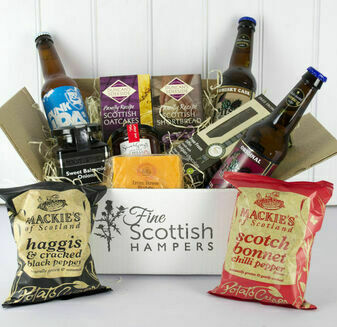 Available in various sizes with accompaniments like cheese, crisps and original Scottish fudge, if one’s never popped open a bottle of real Scottish beer before, then we think these Beer Hampers are about to make a profound impact.